More than just a cool accessory, these non-toxic and chewable bangles are our hero! Because they make an amazing NON VERBAL COMMUNICATION AID! 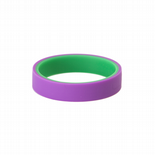 You can use these two coloured bangles as a discreet communication device between you and your child at home, or while out and about. 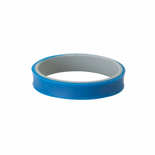 When used as a communication device, the bangle gives your child the opportunity to let you know very easily when they are feeling out of sorts or if they need your help. All they need to do is flip to the other colour if they need a bit of 'time out' - it gives you a quiet way of noticing and being there for them when they need you, and hopefully way before you get into meltdown territory! You can make up your own rules for what each colour means, and even wear two or three bangles, each with different meanings! Ideal for non-verbal older kids and teens for discreet communication with parents, carers or teachers, or just for fun! 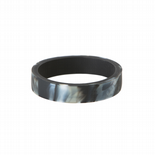 These Flip Bangles are a larger size great for older kids, teens and adults. Kids Flip Bangles coming soon!